One of the most exciting films of 2017 has just been acquired by IFC Films. Variety reports that the distributor bought the North American rights to Armando Iannucci’s “The Death of Stalin,” about the Soviet dictator’s last days. Based on the graphic novel by Fabien Nury and Thierry Robin, the film chronicles how Joseph Stalin’s stroke in 1953 threw the USSR into chaos and inspired a mad power grab among his top advisers. The script is written by Iannucci, David Schneider and Ian Martin, with additional material by Peter Fellows. 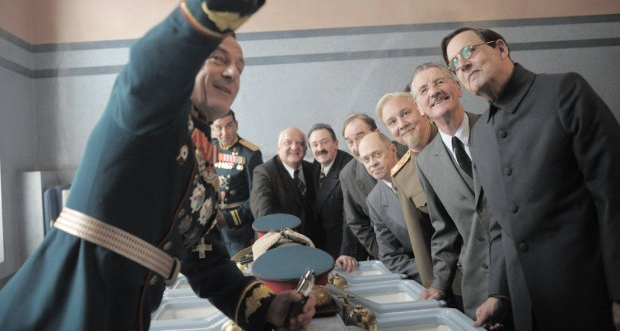 The film has an incredible cast,including Steve Buscemi as Nikita Krushchev, Jeffrey Tambor as Georgy Malenkov and Michael Palin as Vyacheslav Molotov. According to Variety, the feature was involved in a bidding war with several distributors, including A24 and The Orchard. The deal was closed by Gaumont, with a sale in the seven figure range.